In a bid to increase fan involvement, NBA referees are going to break down calls and discuss them with fans on Twitter during select games throughout the remainder of the season, according to Brian Windhorst of ESPN. The NBA tested this concept during Game 3 of last year’s NBA and were satisfied with its reception. 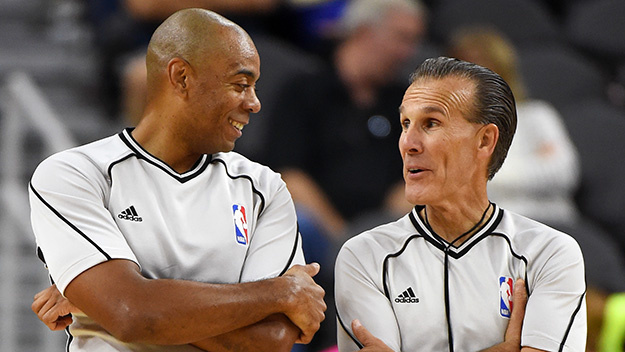 The year, the National Basketball Referees Association will be working with the NBA league office and will have access to the replay center in Sacaucus, New Jersey, allowing them to review replays and view controversial or questionable calls in different angles. For fans bemused during games as to why James Harden’s step-back threes aren’t called travelling, or for those wondering if all of the charges Ersan Ilyasova draws are actually blocking fouls, here is an opportunity to get input in real-time from referees.